Upgrade to Wooden Columbia Limited Model Sailboat Decoration 45"+$200.00 Why Upgrade? With the graceful speed of the waves, unbound freedom of the wind and winning spirit of her famous namesake, these Limited Edition model sail boats of the Columbia racing yacht will brighten any room with her presence. 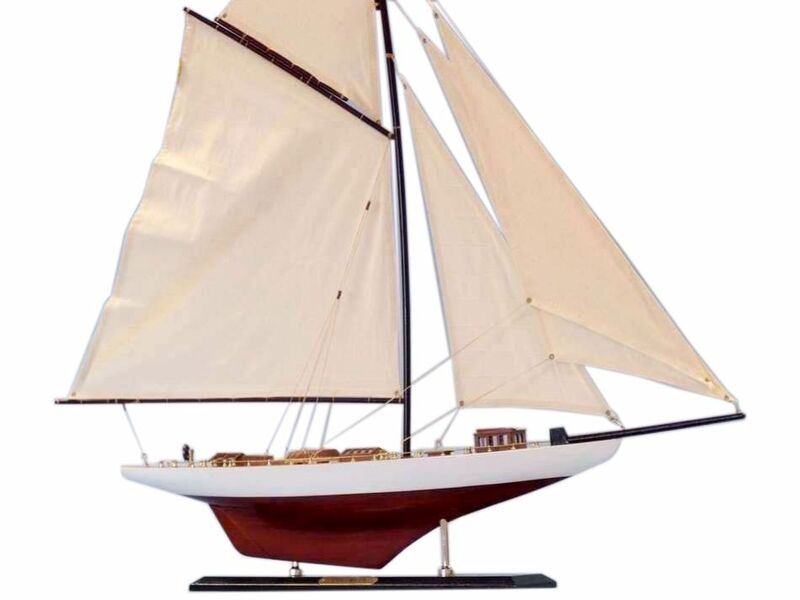 Sailing atop a shelf, mantle or table this elegant yacht model is the perfect highlight for an office or meeting room, bedroom or beach house. Wooden Columbia Limited Model Sailboat Decoration 45"